Fabulously innovative and ultra-trendy, this asymmetrical Double Dutch upstyle is perfect for keeping cool in the summer, for daywear or for creating a stir at a formal event! From a side parting at the forehead, the hair is combed back and braided into two asymmetrical French plaits. These form a stunning, diagonal line decorating the back of the head! 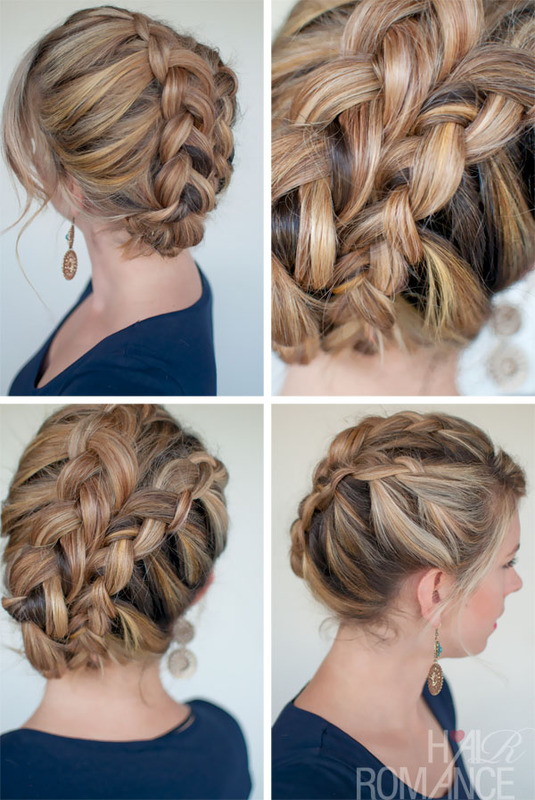 The two braids are made even more unusual with a thicker top plait, over the narrower lower braid. The fantastic mixture of blonde shades contrasting with the darker roots accentuates the movement at the sides and the beautifully woven hair to perfection! 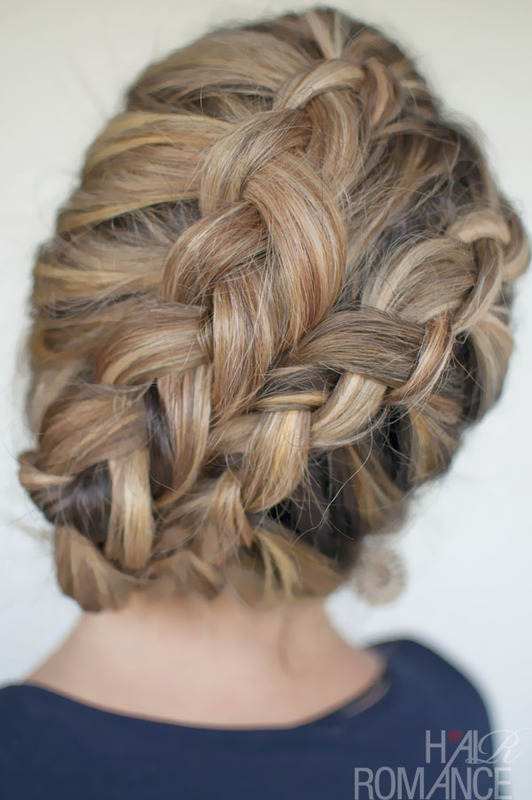 Do you want to know how to style this beautiful Double Dutch Diagonal Braids? You can find out the tutorial in this exciting ebook 30 Braids in 30 Days. This cool hair style book has 80 pages of all tips, tricks, cheats and techniques at your fingertips. Inside you’ll also find the how-to instructions to the essential braids of this series such as the Dutch braid hairstyle, Waterfall braid hairstyles, Classic braids, French braids, Fishtail braid and the Hair Romance signature Twist & Pin technique. Check it out here.